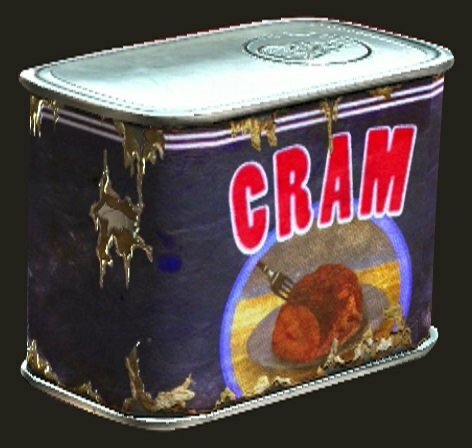 Cram is a consumable aid item in Fallout 4. Canned meats surviving a nuclear blast is no surprise. Eat up!